Affordable In-Home Caregiver Services For Your Loved Ones. ActiveCare Home Care is driven to provide seniors living in the Greater Chicago area with loving, compassionate caregivers. ActiveCare Home Care covers the entire Chicago, IL area with its home care caregiver services. A free in-home assessments is provided to help us better understand what you and your familys needs are, and then a care plan is developed with close consultation with you and your loved ones. 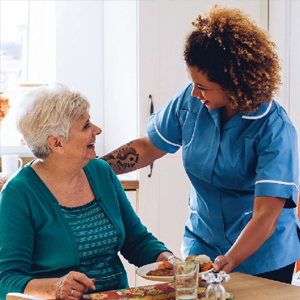 We strive to become the leading caregiver service agency in the entire Chicago and surrounding suburbs area by providing a service that is the correct fit for you and your loved ones. Our goal is simple to provide the most comforting care that is the right fit for you and your loved ones. Our caregivers are experts in providing care to your loved ones with all stages of Alzheimer’s and dementia. They are trained to understand behavior cues, and how to manage those moments. ActiveCare caregivers provide companionship that is meaningful and for your loved ones. Whether it is for a few hours a week or everyday our caregivers develop trust, care and dependability with you and your loved one’s. ActiveCare Home Care participates in the federal government Veterans Aid and Attendance Benefit Program. If your loved ones are veterans or a widow of a veteran, ActiveCare can help them qualify for these free services. ACTIVECARE IS INCREDIBLY RESPONSIVE TO YOUR NEEDS. 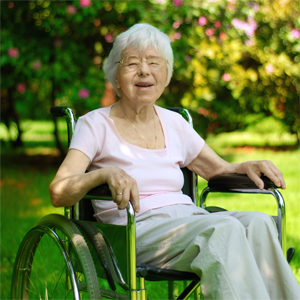 ActiveCare Home Care is incredibly responsive to you and your loved ones needs. We utilize a simple process of evaluating each individuals needs through a very detailed assessment at the initial assessment. The complimentary assessment helps us understand what you, or your loved one needs from a caregiver. Each client is different both in physical needs, and emotional needs, our assessment will involve everyone from your immediate family member, to the family physician. Each assessment will uncover what is needed from a daily, weekly and monthly service need. The plan is then proposed to you for review and adjustments can be made to further customize your oved one’s caregiver needs and wants. 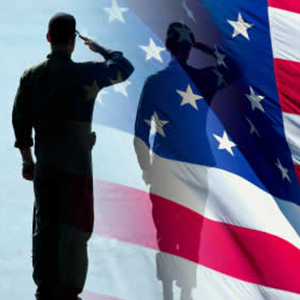 ActiveCare can also help evaluate if you qualify for government programs such as the Veteran Aid and Benefits Pension. Our aim at ActiveCare is to develop a close relationship with everyone involved from the immediate recipient of care, to the family, to the doctor and social workers. Fill out the form below and a Certified Senior Care Manager will contact you to discuss your loved ones care needs. You can also call our Toll Free line at 844-545-CARE(2273) and one of our friendly Certified Senior Care Managers, will be there to help you learn more about the different care options offered. We were given 3 Care Giving Agency referrals. Of the 3, we selected ActiveCare home care because of their ability to answer most all of our interview questions & present a very complete & specific picture of the services they offered. Their follow-up on questions from their representative, Rachel, was prompt. They offered care giver credentials & Certifications which was very important to us. Their communication with us was prompt, Courteous & Compassionate. There care-giving staff was very dependable, well qualified, personable & connected with my dad well. My experience with ActiveCare Home Care was wonderful. My mother was released from a rehab center and needed care right away. They came to the rehab center to meet with my family and I so we could have care in place for her as soon as she was discharged. I was really impressed by their professionalism and compassion. We were able to bring my mother home and feel very comfortable with the caregiver. My Mother has really taking a liking to her, and my mother let's just say is very picky with people being in her home. She has kept up with her personal Hygiene, helped her gain some weight back by cooking meals for her and even helped her get back to her passion of knitting. The company has been very good to us and has been able really relive some stress in my life. We are very happy! We tried several other agencies before finding Active Care Home Care. After trying several caregiver's, ActiveCare found the right fit for our Mom. ActiveCare also keeps me updated and takes care of any concerns I may have. I can call them 24/7 with any problems. We are just so happy that we found this agency! We've been with Active Care for about a year now. Due to strokes, my dad needs a lot of help with day to day activities and my mom cannot handle the physicality of his needs. It took some time, some trial and error with different caregivers, searching for the right combination of skill AND personality as we have live-in care. With discussions with the office as to what we were experiencing with candidates, we have landed upon a couple of great guys who make up the week.